Growth usually comes with its own set of challenges: the problems of scale-up and unplanned surges within the existing IT infrastructure are major concerns to adapt the evolution without affecting the power availability. 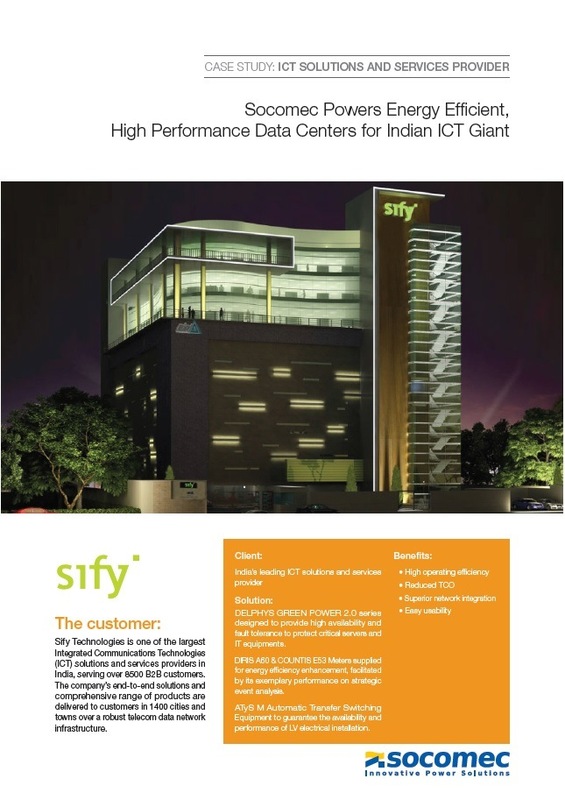 Sify technologies, an ICT giant chose Socomec to ramp up and transform its power supply infrastructure based on our deep domain expertise in managing power for critical applications. Learn more about this project and the solution provided by downloading the case study.